In a continually evolving world, a precious few things stay the same. The human need for unfailing and reliably clean water sources is one of such requirements, and it will remain consistent throughout time. Nowadays, the commodity is utilised heavily in manufacturing almost every product imaginable. Because of this, industrial process water treatment is indeed a mainstay, preserving a valuable and finite resource, even as technology advances and methodologies change the way it’s done. As an up and coming online informational source, this site provides comprehensive coverage of water & wastewater news for professionals and our long-established magazine covers many important subjects, news and product updates on each of our 6 issues per year. Articles are written expressly for leaders in the industry, such as consultants, process engineers, and managers, who are responsible for overseeing facility activities on a daily basis. The greatest emphasis is placed on presenting a wide breadth of reliable water-related information for a global audience. 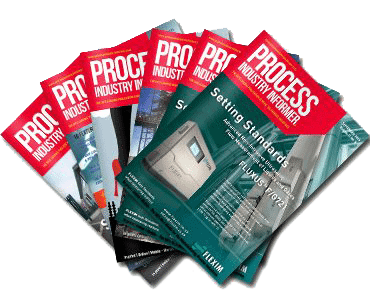 The latest information on industry events, trends, products, and regulatory changes can be found on the pages of this digital water & wastewater magazine.Content is selected to benefit anyone who is involved in the design and specifications of systems, as well as those who purchase, maintain, and operate equipment, along with their related chemicals and technology. Remaining current on international water & wastewater treatment news has never been more important than it is today. The earth is only somewhat forgiving, as wastewater processing can be utilised, though the economic impact of adverse events cannot always be overcome by corporations and municipalities. For these reasons, it’s imperative to remain up to date on happenings as they unfold throughout the world, in an effort enhance one’s own standing and maintain the highest quality standards. Some manufacturing industries have particularly high water consumption rates.For those in the following sectors, it’s even more essential for leaders and those with hands-on roles to be abreast of innovative and efficient conceptual developments. ​A wide range of news-worthy topics related to water consumption and treatment that are relevant to these and numerous other sectors will be covered.Information provided will focus on, but is not limited to, many of the concepts detailed below. With the goal of becoming the premier destination for industrial water management information, material will be continually updated. As a one-stop source for all water & wastewater treatment news, this site should be bookmarked for easy retrieval. As the archives fill, a comprehensive library of industry data will emerge, and shall remain available for future research needs.